The maintenance of your heating system, whether oil or gas, is crucial to the life of your equipment. A system that is monitored and routinely cared for is far less likely to suffer a sudden need for repair. The maintenance of your heating system, whether oil or gas, is crucial to the life of your equipment. A system that is monitored and routinely cared for is far less likely to suffer a sudden need for repair. 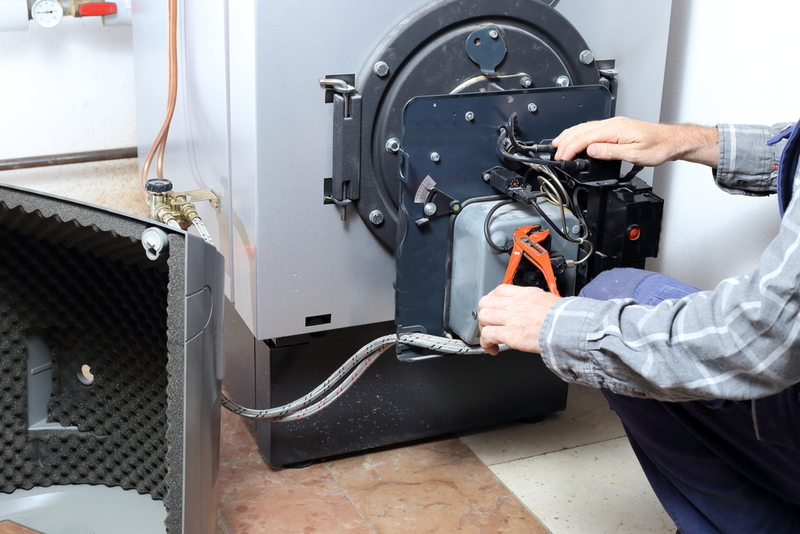 Boiler Maintenance Long Island offers check-ups for an over-all furnace or burner condition, reinstallation of flue pipes, inspection of cad cell and vacuum, and replacement of oil filters and gaskets. Ryan Anthony’s heating services guarantee optimal comfort to its clients. We provide installation, repair and maintenance services that will allow your unit to perform in its utmost capacity. Burner Maintenance Long Island will cater to your concerns and provide you with stepwise troubleshooting anytime anywhere. It is our priority to keep you warm and heated, especially during cold weathers where you need it the most. Improper installation and unkempt units may be problematic in the long run. Boiler Maintenance Long Island is just a call away. You can always schedule a time of your convenience to have our services. We are determined to provide you with quality service with our competent and friendly staff. Our services are fully licensed and insured. Emergency appointments are also catered. Ryan Anthony’s Heating Service provides service contracts that have incredible value. If you sign on to one of our plans, you’ll save money by avoiding costly repairs and never have to pay for a service call again. There is never a convenient time to have a system failure. With Burner Maintenance Long Island, you can keep your system running efficiently and most importantly safe with routine maintenance. We provide fair and upfront pricing on installations, repairs, and maintenance of your unit. With our service plans, your unit is guaranteed to be up and running on cold days and nights where you need it the most!